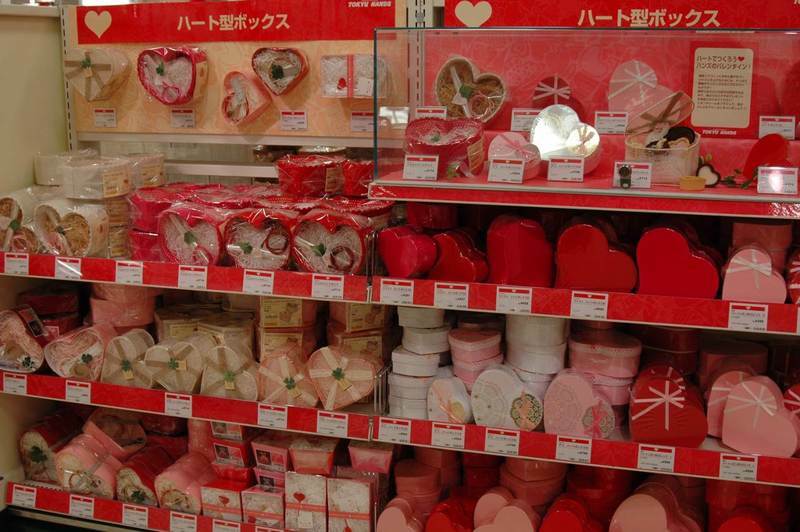 The Valentine's Day (バレンタイン デー) is very popular in Japan, and like all Western holidays in the country of the rising sun, it was introduced for commercial purposes. After several advertising campaigns of the company Morozoff of Kobe in 1936 and 1953, not gone as planned, in 1958 an advertising campaign made by the Isetan department stores finally had great success, and from then on Valentine's Day has become increasingly popular in the country , especially among teenagers. This feast, however, has got in Japan some particular and (almost) unique details, compared to the rest of the world. 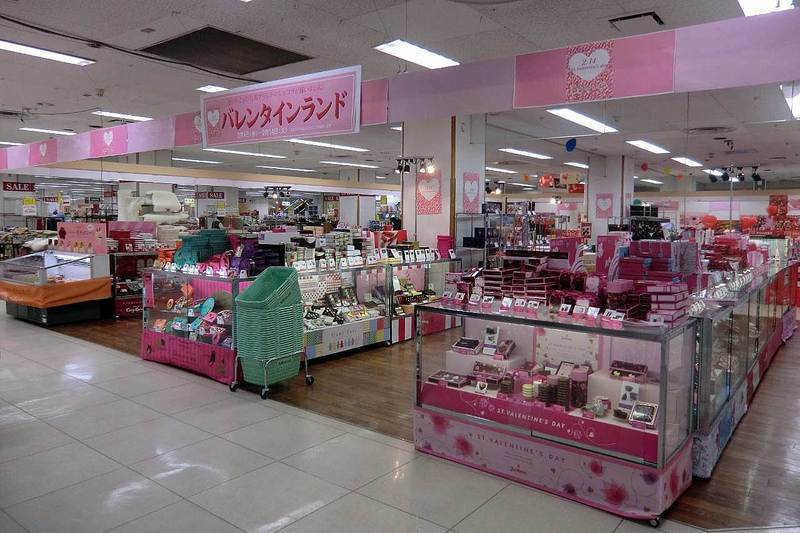 The custom among lovers of a romantic dating, maybe having dinner together and exchanging small gifts, doesn't exist in Japan, but everything is related to chocolate (no flowers or other). If you find yourself in Japan on February 14, you will see chocolate for sale everywhere, even in temporary stands, for example inside the stations. 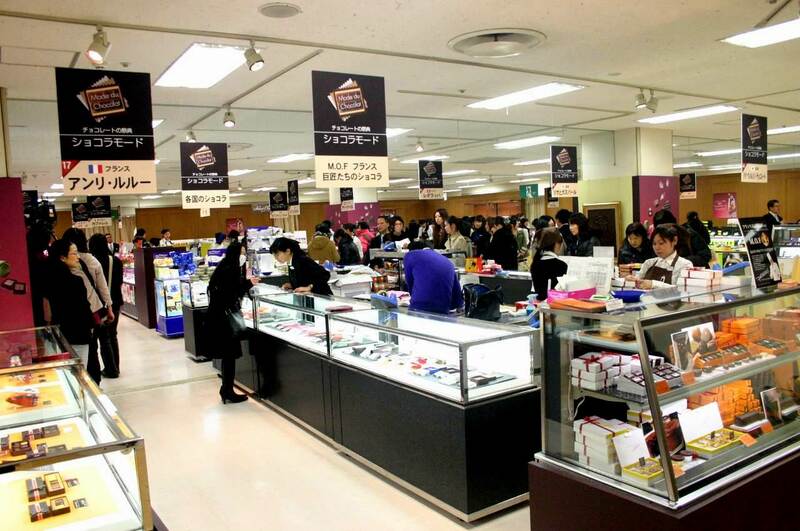 According to certain estimations, about half of all the sales of chocolate in Japan in a year, take place around Valentine's Day. What is even more strange is that only girls give chocolate as a gift, and they don't give it only to their boyfriend or, more generally, to the loved boy, but to many other people. -the honmei-choko (本命チョコ), whose literal translation would be "the beloved chocolate", which is donated to the person you love, so your boyfriend or husband, or someone you are in love with and to whom you want to declare your love or make him understand your feelings. This chocolate is preferably prepared at home with your own hands and carefully packed, or bought in stores, but you choose some valuable and expensive brand, wrapped in particular packages. 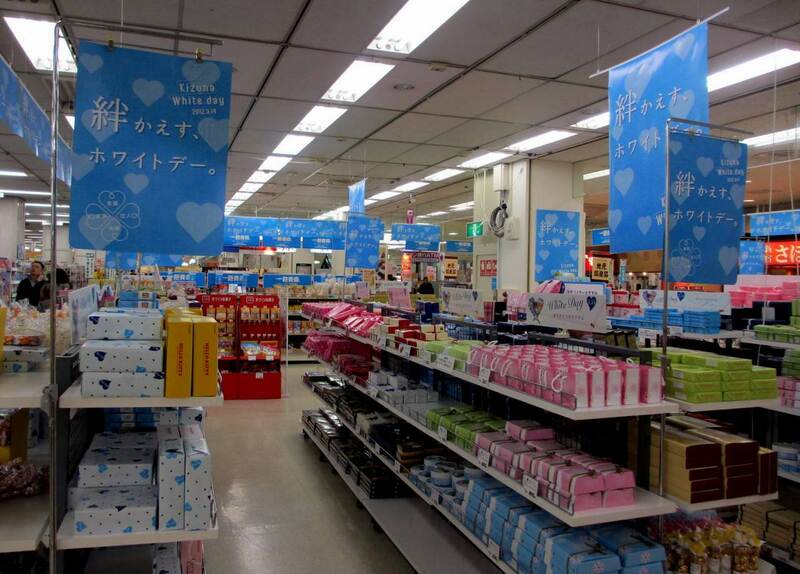 Exactly one month after Valentine's Day, on March 14, White Day (ホワイトデー) is celebrated, a Day related to Valentine's Day but existing (almost) only in Japan and introduced in 1978 by the Association of Japanese confectionery industries. 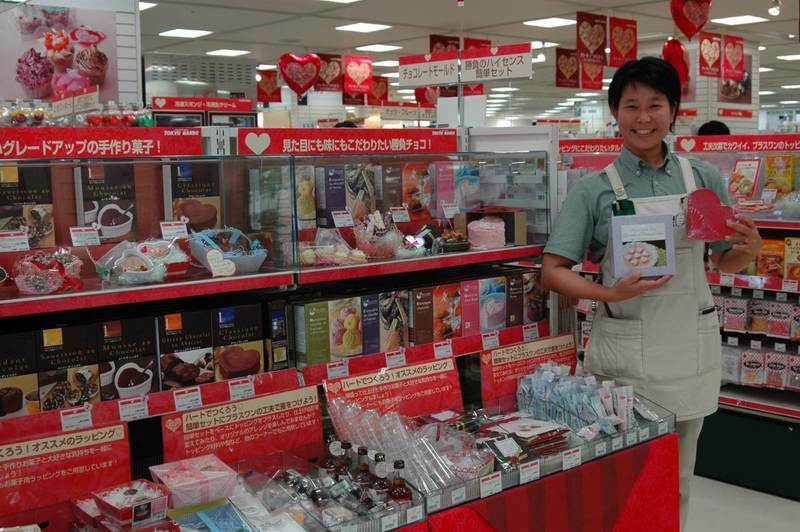 During this day, boys who received chocolate as a gift from a girl a month before, during Valentine's Day, should ideally reciprocate by giving them the white chocolate (the word "white day" comes from this). 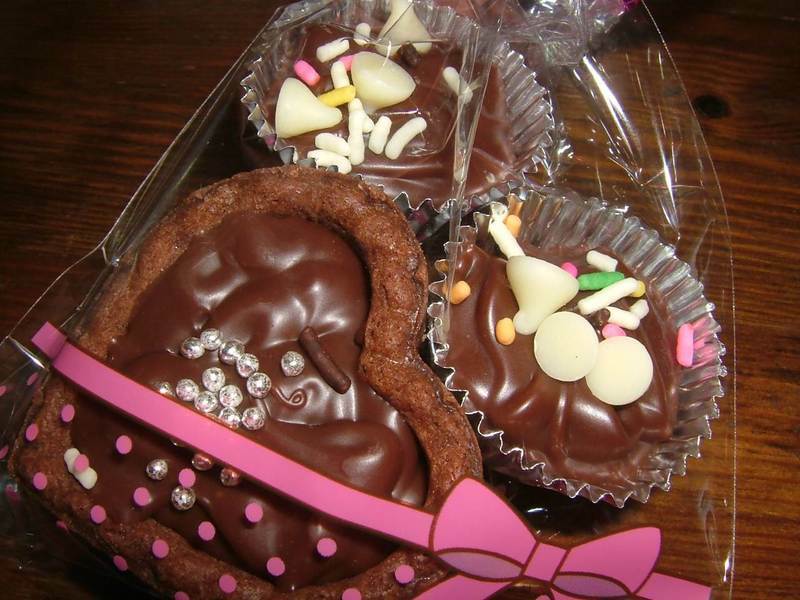 The distinction among the three types of chocolate I made above affects also guys, but guys give much less giri-choko than girls, they often give a gift only to the girl they love. Moreover, together with the chocolate, boys often give also more expensive gifts, such as stuffed animals or other types of sweets, or even jewelry and clothing accessories and lingeries. The favorite color is often white, symbolizing purity. It sounds absurd, but it is important that a guy repays by spending more than the girl spent a month before (at least three times). If the gift was to be of equal value, this would mean that the guy doesn't reciprocate the feelings of the girl. The Valentine's Day and White Day exist, with customs similar to the Japanese one, even in South Korea, where the month following the White Day (April 14) they have also the Black Day, dedicated to all those who haven't received anything in the two previous occasions, which should all go eating jajangmyeon, a plate of Korean noodles with black bean sauce, that takes on a very dark color (the name "black day" come from that). In Taiwan customs are the same as in Japan, but reversed, in fact February 14 is the "turn" of boys, and girls "reply" on March 14. In China, although the Western Valentine's Day on February 14 is anyway becoming increasingly popular, it is very close to the celebrations of Chinese New Year. The Chinese have their own traditional similar festival, called Qixi Festival and celebrated on the seventh day of the seventh month (of the Chinese calendar), which varies every year and falls in our month of August.